KHEAM HOCK GARDEN is located at 38 KHEAM HOCK ROAD in district 11 (Chancery, Dunearn, Newton) of Singapore. 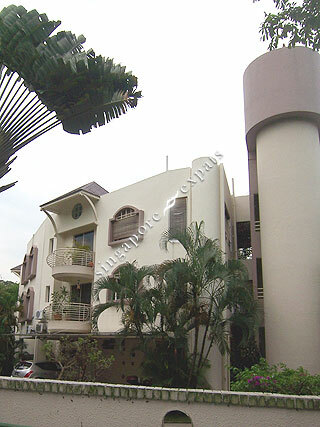 KHEAM HOCK GARDEN is a Freehold Condo development consisting of 19 units. KHEAM HOCK GARDEN is completed / TOP in 1988 (estimated), developed by SCENIC INVESTMENT PTE LTD.
Educational institutions like CHINESE INTERNATIONAL SCHOOL, HWA CHONG INTERNATIONAL SCHOOL, SAN YU ADVENTIST SCHOOL, SINGAPORE CHINESE GIRLS' PRIMARY SCHOOL, RAFFLES GIRLS' PRIMARY SCHOOL and NANYANG PRIMARY SCHOOL are near to KHEAM HOCK GARDEN. KHEAM HOCK GARDEN is accessible via nearby BOTANIC GARDENS, STEVENS and TAN KAH KEE MRT Stations. Botanical Gardens (mrt) , Hollandse Club, Cluny Court, Coronation Plaza in the vicinity.